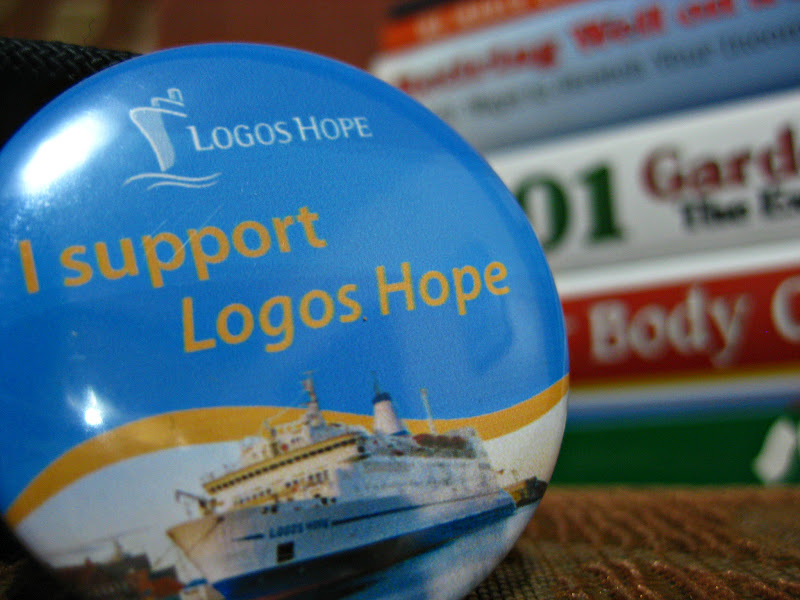 The Logos Hope community of 400 unpaid volunteers from over 45 countries lives and works together for one purpose - to bring knowledge, help and hope to the people of the world. They are mostly young people who have chosen to dedicate two years of their lives to be on board, learning to live and work together, and serving the communities in the ports visited. The community also seeks to provide aid and relief in needy situations and to bring long-term change in each port. 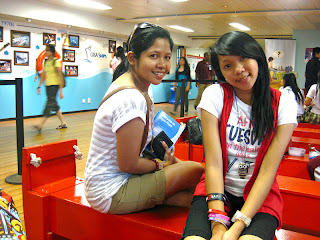 It was relatively hot and humid outside and we're just happy to finally get inside the ship's deck after paying a cheap Php20 for entrance fee. The excitement grew as we're welcomed by foreign crew volunteers, feels like we're already travelling outside the Philippines. The Lifeboat theatre was the first part of the ship that greeted us. It's where you will learn about what it's like to live on this unique ship and see an illustrated history of GBA Ships. Book lovers will surely be fascinated to be surrounded with books priced way cheaper than our local bookstores. They are priced in units that are easily convertible into pesos. 1 unit = 1 peso. The books range from bestsellers to Hannah Montana pocketbook series to children books neatly classified by ages, thick travel books, cookbooks to even sudoku workbooks. They also have christian and children albums, sunglasses and other souvenir items up for sale. The third area is called the Journey of Life. Here you can watch as the classic story of prodigal son unfolds. We weren't able to experience much of the Theatre part as the large screen at that time wasn't playing anything. According to the brochure that we have, the area offers an ever-changing glimpse into the work of the ship. We did enjoy the last and 5th part of the ship, the International Cafe. Sure their cookies and popcorn were pricey compared to our local stores, good thing we still have our water bottles with us. The Asian lady volunteer behind the bar was really welcoming, asking me how do I find the ship and if I was able to buy some books. I appreciate the way they reach out. In fact, what we found really cool about our experience at the cafe was the unplanned jamming session that occurred between Filipino maritime students and ship's volunteers. at International Cafe: jamming session ba? magaling ang Pinoy diyan! We left the ship scoring 4 really thick books and a pair of sunglasses for an affordable Php500 total. I donated Php50 and got myself a souvenir pin, cute! They also gave us free small thin books at the exit area. 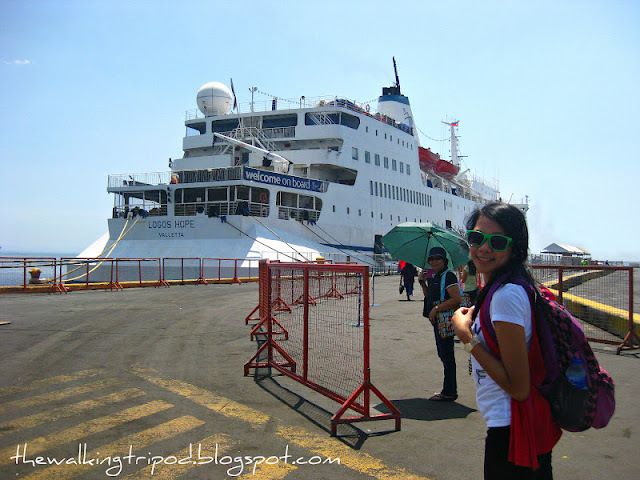 Pier 15 reminded me the last time I boarded Superferry for my trip to GenSan. It was utterly chaotic that day but I'm glad to have seen Pier 15 now at a much calmer state. It was Thursday and there weren't much people visiting the ship, yes I made sure the trip falls on a weekday :) There you go, our MV Logos Hope was surely a liberating experience. Mom totally enjoyed our 2 hour trip inside as well as Hannah, who confessed that it was her first time to actually go inside a ship. We also got to buy dirt cheap books, hopped on-board this unique ship and got to interact with some of its multi-cultural crew and most importantly it gave us a chance to extend help to the needy. Really you got a nice experience onboard the Logos Hope Ship. Now, the ship is continue here in Philippines because she is in Subic Bay and Will open again I think on the 20th of november. 1) most of the people living on the ship are young but there are almost 20 families with kids, so the ship is not only for young people. I make a comment of this because the ship have 9 deck and you only experience and see one. I'm glad you had a great experience onboard the ship.